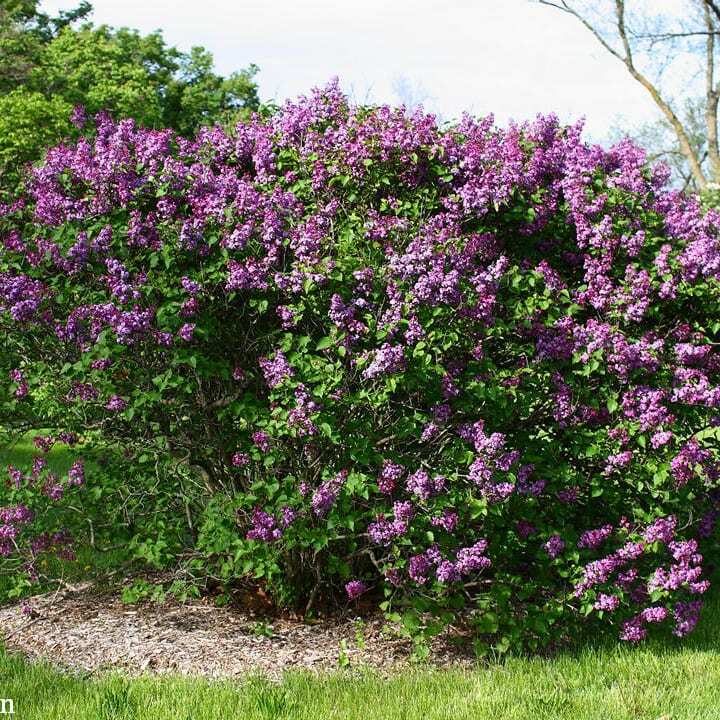 This common lilac cultivar is an upright, deciduous shrub which grows 8-15′ tall. Deep purple to wine red, sweetly fragrant, single flowers with white edges are arranged in dense, pyramidal, terminal clusters (panicles) which cover this shrub in late April to early May (St. Louis). Ovate to cordate, dark green leaves (to 5″ long). Excellent fresh cut flower. Lilacs have been a garden favorite for years and often evoke nostalgic feelings of home and childhood. Walt Whitman lyrically extolled the lilac as “tall-growing with heart-shaped leaves of rich green, With many a pointed blossom rising delicate, with the perfume strong I love, With every leaf a miracle…” in his 1865 poem “When Lilacs Last in the Dooryard Bloom’d”.